appearance with aesthetic after machining. 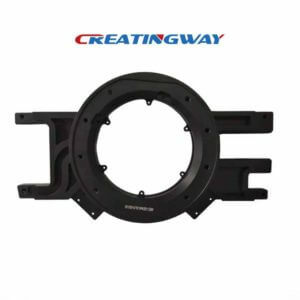 One of our customers from French, they have a larger metal part with better finishing needed, how should we plating it, meanwhile, it doesn’t damage the appearance of the parts and save the production costs. This is that we have to think about to customers. If we will use common electroplating method (barrel plating) to complerte,. Obviously, this result is not ideal. In order to compare what different on barrel plating and hanging plating , we have tried this two processes. 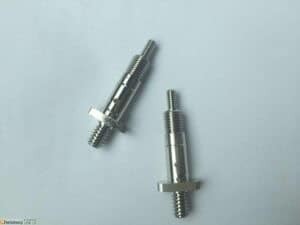 After finished, there are some scratches on the surface treatment of the parts on barrel plating, which directly affect the part’s aesthetics, But the parts appearance is very goods on parts with hanging plating process. What is hanging plating of machining parts finishing? Hanging plating is used for copper, nickel, chromium, zinc, aluminum oxidation, plastic plating and other advanced process requirements. The whole line structure is reasonable, and the appearance is beautiful, the operation is convenient, the noise is small and easy to maintain. It’s mainly applicable to various size of plating groove, which is a wide range of adaptive automatic line. What is barrel plating of metal machining parts finishing? Barrel plating adopts high quality material with reasonable structure, beautiful appearance, safe operation, low noise and easy maintenance. It is suitable for mass production of various small parts and various needs of plating. High production efficiency, uniform coating, good quality. Hanging plating is a process in which the workpiece is installed on the hanging tool, which is suitable for large parts. Each batch of products that can be plated is less and the plating thickness is more than 10μm. Barrel plating is a process in which the workpiece is loaded into the drum, which is suitable for small parts. The number of each cylinder is large, and the plating layer is thinner than 10μm. In general, barrel plating is carried out in the drum. 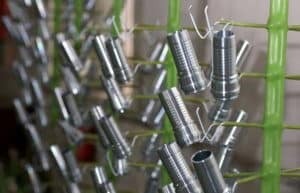 The biggest difference between barrel plating and small part hanging plating is that it uses a roller, which a loading device for carrying small parts to be plated during the barrel process. When barrel plating, small parts aren’t static in the drum, but should be rolling with the drum’s rotation, the roll is specific to a particular part of the case: one is buried in the entire stack of parts, and the other is turned over to the outer surface. The cycle continues until the end of the rolling process.